Living in the northeast I have to deal with the extreme temperatures; however my hair has not gotten the memo. For the past few weeks I have been struggling with the moisture balance of my hair. Therefore , this week I after some research I decided to go an egg and honey treatment in an attempt to up the ante. Prepoo with my egg and oil mixture under a plastic cap and a scarf for one hour. I spent a few days combing the interweb for a good recipe for the egg mixture but alas I gained enough information to formulate my own. The egg mixture consist of an egg, coconut oil and avocado oil. After allowing my hair to cool I rinsed with warm water to ensure I remove all the egg. Shampooed with Creme of Nature red clover & aloe before rinsing with warm water. After thoroughly rinsing all the shampoo it wrapped my head in a t-shirt to get rid of the excess water. Deep conditioned with Crecepelo and Jamaican Black Castor Oil mixture under my conditioning cap for thirty minutes. Watching Tv while washing one shair is not always a good idea. I intended to let my hair cool for 10 minutes but it was three hours later before I rinsed the conditioner out with warmed water followed by cool water to closed the cuticles. 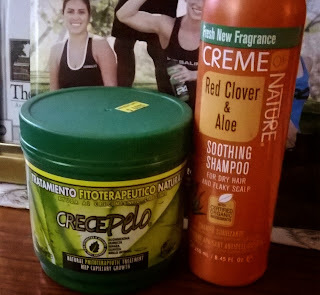 Leave-in and moisturizer- Applied Creme of Nature strength and shine leave in conditioner and allowed my hair to air dry. 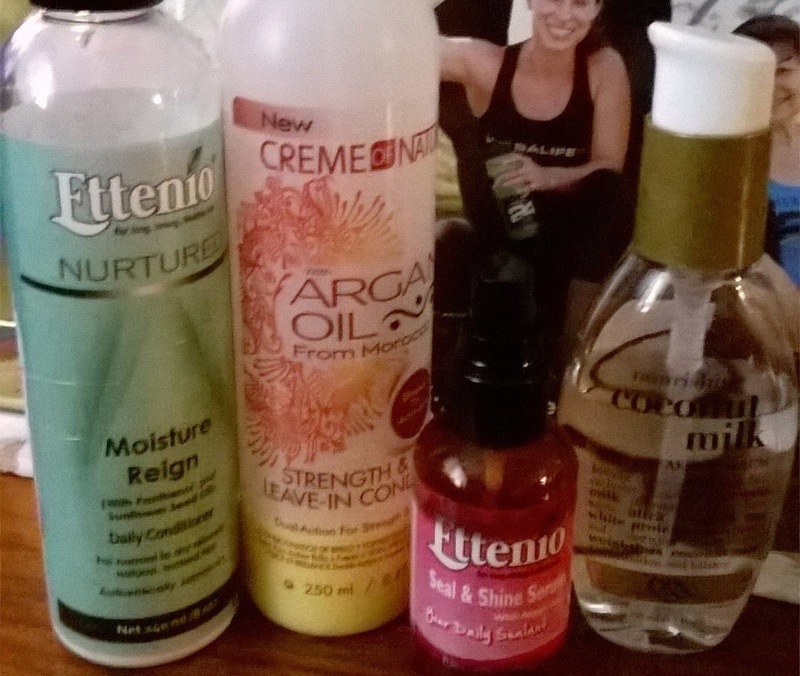 Once my hair was about 90 percent dry I applied Ettenio moisture reign and left to fully air dry. Once it was dry I applied OGX coconut milk anti-breakage and blow dry the roots on cool help stretch them. After blow dry I add a drop of Ettenio seal and shine serum to each section and set with roughly 15 1 1/2 inch perm rods. I love how soft and moisturized my hair is; because even though I felt like I went through a wind tunnel while in the city my hair was still soft. So soft that I could run my fingers through it without any problem. I love the look from the perm rods but forgot to take pictures because I was running late for an interview. What are some of the techniques you are using to improve your moisture balance? Congrats on getting your hair's moisture levels back up. 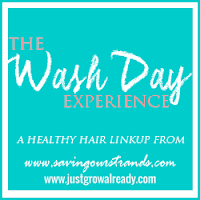 I noticed that in the #washdayexperience's when I start with a protein pre-poo my hair is always softer (and stronger) than when I do moisture only. What color are the 1 1/2" perm rods? I'm not sure that I've ever seen them before. Do they just give you a little bounce or a full curl? KLP- I never thought to do a protein treatment for a prepoo before now, but I worked like a dream. The perm rods are brown; they give a more of a wave than a curl.